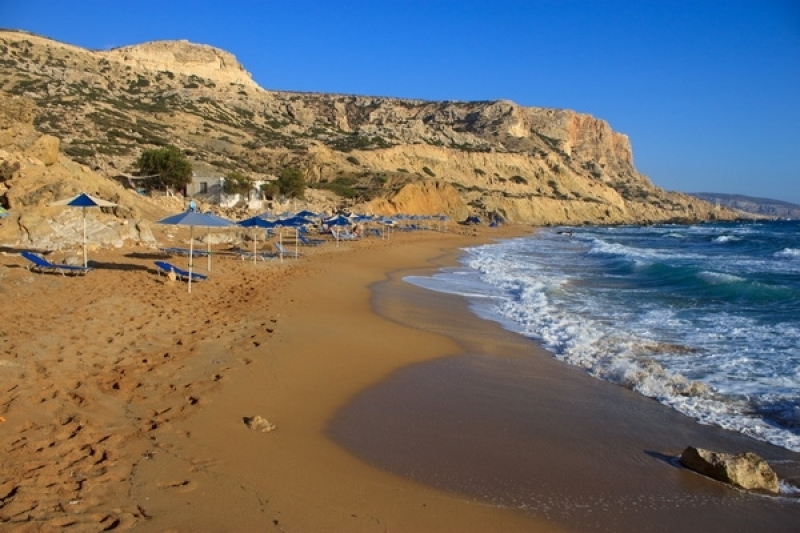 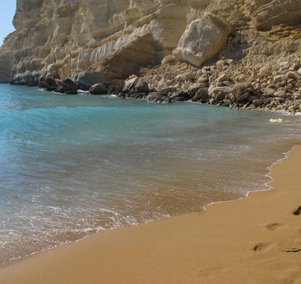 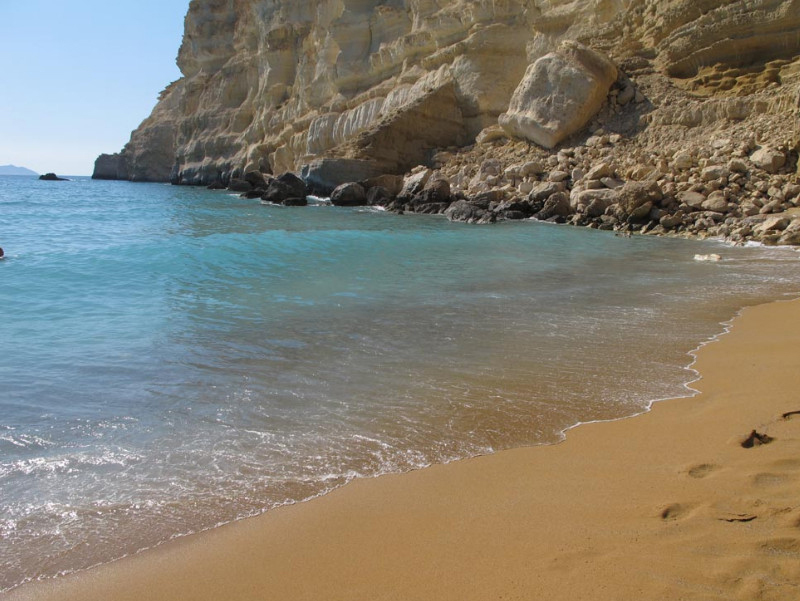 This is the picturesque secluded beach just 20 minutes walk from Matala. 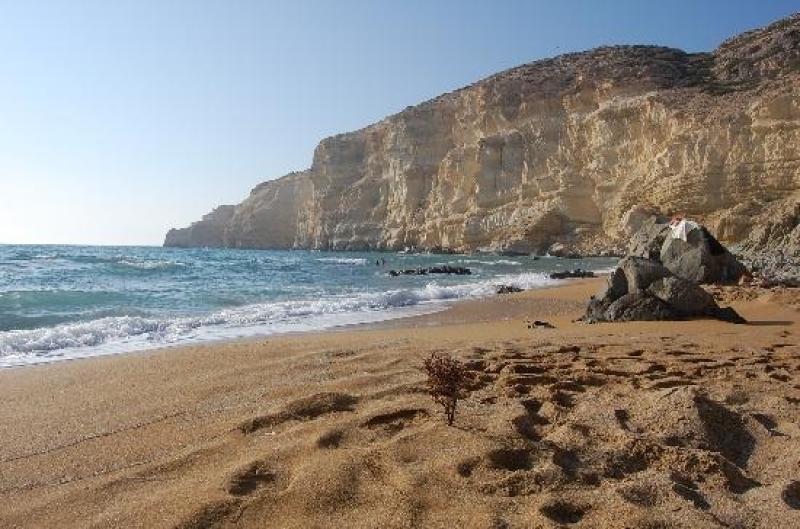 On the way, you pass more caves, some of which are inhabited through the summer, but the exact whereabouts of the better ones away from the village are a closely guarded secret. 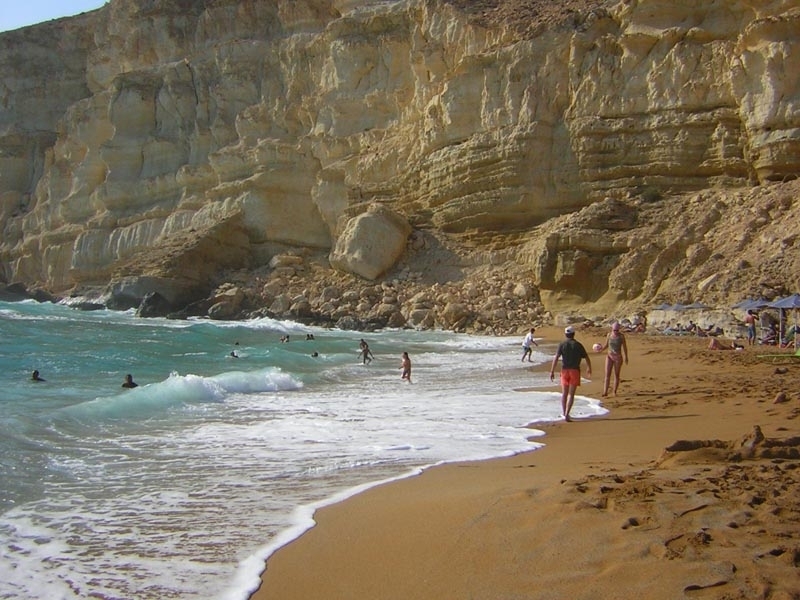 It has dark reddish brown sand and wonderfully clear water. 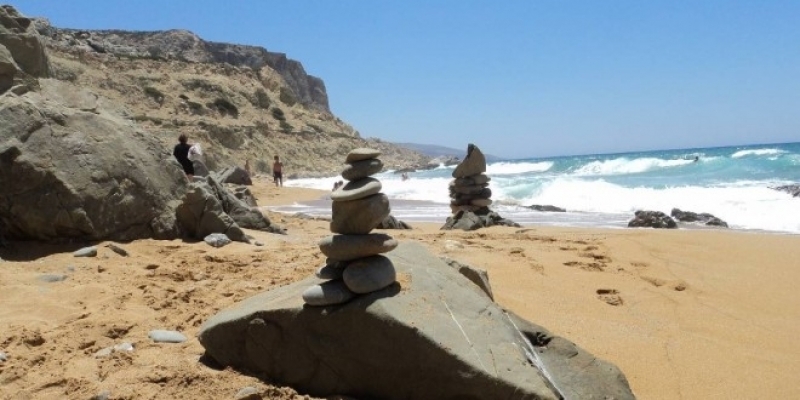 It is a quiet intimate beach, only 300m long, but well worth visiting.